Pass the pigs is a strangely addictive game where you replace typical dice with two little pigs. You shake the cup and roll the pigs. 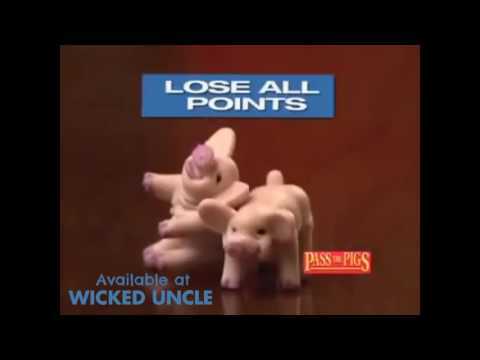 Depending on how the pigs fall you'll win points. A player keeps going until they feel like stopping, but be careful not to pig out! First to hit 100 points wins. The more experienced players will know all about throwing a sider and getting a leaning jowler. Weird but fun. Very portable so you can play it anywhere. Excellent for staycations when it's raining. Great for 2 or more players. Human Body Cube Book - Clever! Reveal fascinating facts and figures - keep turning to keep learning! Think outside the box - solve the puzzle! Can you open the box? Test all your friends - simply brilliant! Transform your table into a hockey game with the amazing hover puck!